Linapacan Island Palawan, Dubbed as Having the Clearest Water to Swim In Worldwide! In October 2013, Daily News Dig published their list of the clearest waters in the world to swim in; Linapacan Island, Palawan emerged at the top spot, overshadowing even the globally-famed Maldives and To Sua Ocean Trench in Samoa. It is said that the Linapacan waters are so clear that you can literally see even your toenails submerged deep in the waters! But what are clear waters without white sands, right? Don’t fret though as the shores in this region paradise also boasts of the whitest of sands, even comparable to those of Boracay. As such, you’ll definitely find snorkeling, diving, underwater photography and even just chilling all becoming extra bewildering experiences! It’s not really just the waters or the sands that earned Linacapan a must-visit title though. With the region’s remoteness and a population of only 14,180 people, the Linapacan islands offer a quiet, tranquil and soulful beach holiday, one that’s far from the party escapades Boracay has long been known for. This is certainly the place for people who simply wish to enjoy the calm wonders of nature. How to Get to Linapacan? (1) Travelers coming from major cities as Manila or Cebu can avail of direct flights to Puerto Princesa, Palawan. From there, buses to El Nido can be boarded and from El Nido shall be a boat ride to the islands. (2) From Manila, travelers can take a ferry to Coron. Ferry trips are only scheduled Thursday and Friday afternoons though. 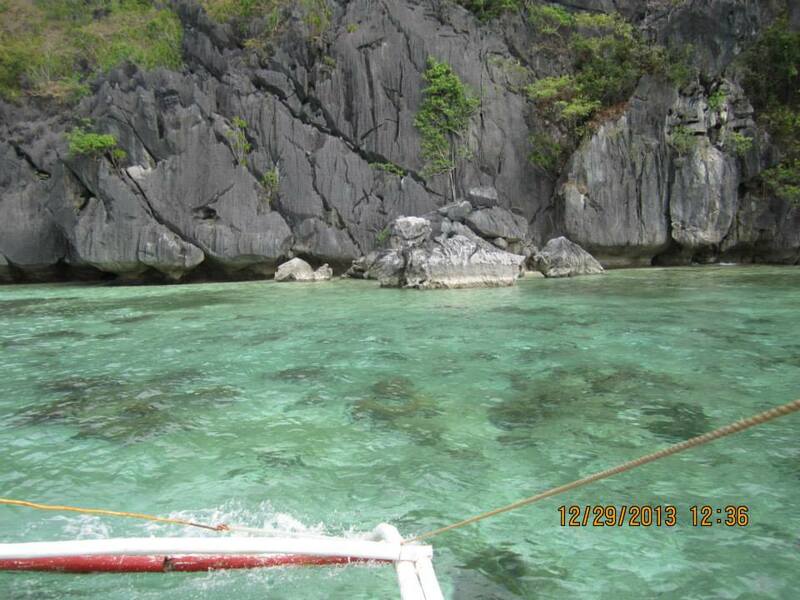 From Coron, another boat ride will have to be taken to San Miguel, Linapacan. Boat rides typically take about 4 hours. It is important to note though that hidden islands will be more difficult to access. Travelers who want to explore the more remote parts of the region will have to join eco tours. Finding and booking for accommodations in Linapacan is rather easy. There aren’t many known specialty lodging available but can be easily found are two of the highest rated in the area, the Ariara Resort in Ariara Island which was named top vacation spot by Vogue UK in 2012 and Dory’s Store and Lodging in San Miguel. Both offer affordable air-conditioned rooms, basic meals and eco tours or island hopping arrangements. 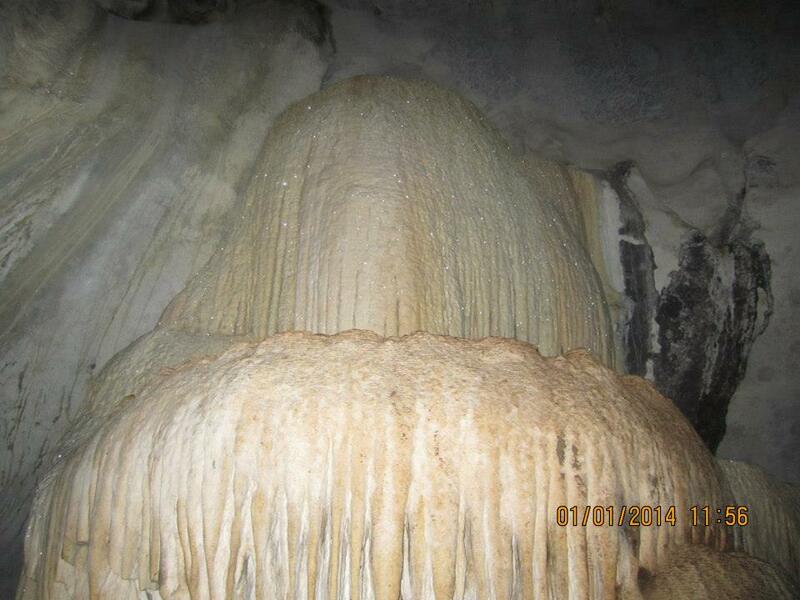 One notable attraction that has been labeled a must-tour in Linapacan other than the beaches is the Eli Cave. It is an island karst that has formed into rigid walls and limestone pillars. When lit over by a lamp, the sides of the cave actually illuminate into virtual stars that will simply take anyone’s breath away – truly an out-of-the-world experience! Because Linapacan is surrounded by several tiny islets, island hopping has also become a prominent activity for tourists. Nearby islands to explore include the Patoyo Island, Inapupan Island and Dimanglet Island. Aside from island hopping, resorts offer fishing lessons, snorkeling and diving sessions for guests as well. Linapacan Island is definitely the one place you can’t miss visiting while in the Philippines. There’s just nothing much better than white sands bedding the clearest of waters in the world. Add to that the visual delight of the vast skies coupled by the serene ambiance of humming winds and you’re in for the most beautiful beach holiday experience of your life! 3 Responses to Linapacan Island Palawan, Dubbed as Having the Clearest Water to Swim In Worldwide! Such a paradise! A must-see! There are ferry boats that travels El Nido-Linapacan-Coron. The boats are MARFYE (80-passenger capacity) and VON (56-passenger capacity). Both are double engined which makes the travel faster. Another good thing is that if you’re coming from Puerto Princesa City, the transport company of these boats also serve van transfer from Puerto Princesa City to El Nido (vice-versa). The van transfer includes picking up / dropping off the passenger from any point of his choice, could be just right infront of his house. What a relief of convenience! Your travel from Puerto Princesa to Linapacan or Coron will be then just a whole package of accessibility! For further inquiries, contact 09079278630 or 09096445777. Happy travelling!